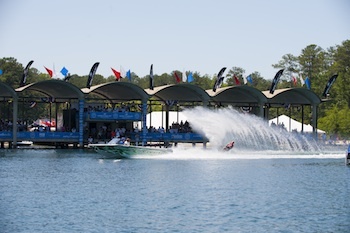 ORLANDO, FLA (June 2, 2011) — The 52nd Masters Water Ski & Wakeboard Tournament marked a special day in history this year, with the first 100% electric Ski Nautique E performing at its first major event in front of thousands of people. The Ski Nautique E pulled this year’s head-to-head slalom exhibition with legend Andy Mapple, a fourteen time Masters Champion against seven times Masters Champ Kris LaPoint. Both athletes had the opportunity to ski behind the Ski Nautique E while the other athlete performed behind the gas powered Ski Nautique. “It was not until after the event that I fully realized what had happened; we just skied an event behind the world’s first 100% electric tournament ready ski boat!” commented Andy Mapple. “By developing this boat and including it at the Masters, Nautique once again demonstrated its forward thinking for the industry and our sport,” added Mapple. The crowd was riveted to the edge of their seats and couldn’t take their eyes off the electric boat as it pulled LaPoint on Saturday and Mapple on Sunday through the slalom course. 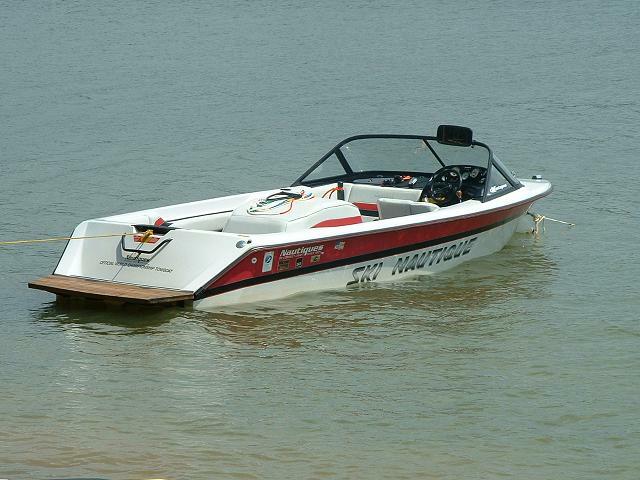 The Ski Nautique E also led the parade during the opening ceremonies on Sunday kicking off the Masters Finals. 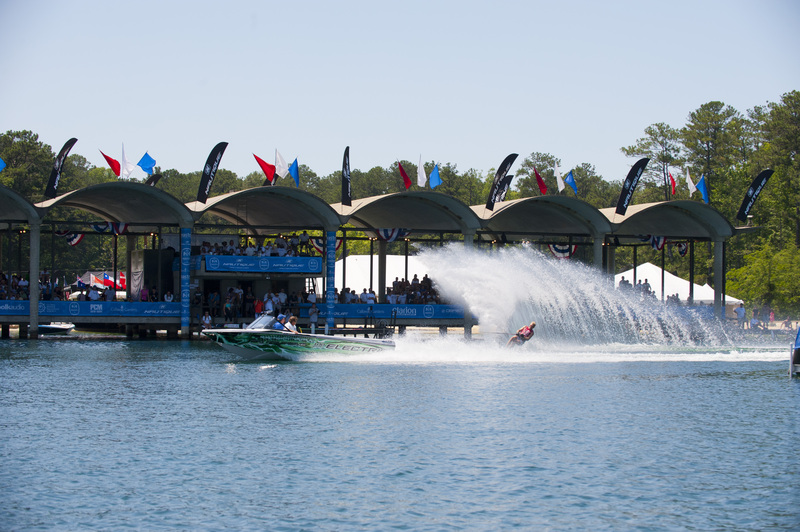 “It was amazing to watch the crowd react to the 100% electric Ski Nautique E,” stated Nautique President/CEO Bill Yeargin. “Everyone was incredibly quiet and captivated as they watched the electric boat in action,” Yeargin added. Is there a chance of a production Ski Nautique E in the future? I sure hope so! I was just talking about this boat with my son yesterday. Such a cool concept.